AMC has announced that production has officially begun on Preacher Season 3 in New Orleans and that, as teased in the finale for Season 2, some of Jesse Custer’s family will be coming to the series when it returns. 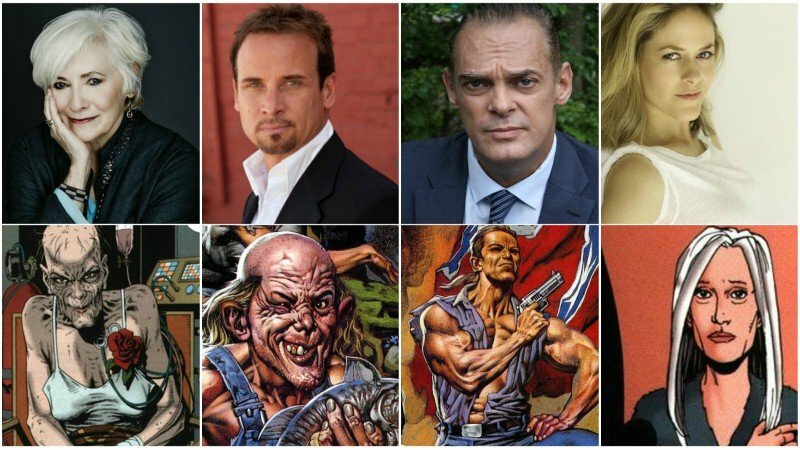 Betty Buckley (Supergirl, Split) has joined the series as Gran’ma, with Colin Cunningham (Blood Drive, Falling Skies) as TC, Jeremy Childs (The Last Castle, Nashville) as Jody, and Liz McGeever (Star, Nashville) as Christina. “Christina” – Capable and efficient, Christina has a face that lures customers in for her family business. Christina hides it well, but she hates her job and has dreams and aspirations outside of her current life – but suffers to protect her child. (It’s worth noting that the only character in the Preacher comics that has the name of “Christina” in the source material is actually Jesse’s mother, which gives this character description a double meaning now). Based on the popular cult comic book franchise of the same name, Preacher is a supernatural and darkly comedic drama that follows a Texas preacher named Jesse Custer, who is inhabited by a mysterious entity called Genesis that gives him the power to make people do whatever he commands. After Jesse accidentally discovered that God is absent from Heaven, Jesse, his girlfriend Tulip and their vampire associate Cassidy set out on a road trip to find Him, all while being hunted by the Saint of Killers, an unstoppable, mythical killer from Hell. The trio’s pursuit led them to New Orleans, where they dodged local gangsters, dangerous agents, and other unimaginable mayhem on their way to uncovering an even bigger secret. Now, with Tulip’s life and Cassidy’s friendship in the balance, Jesse must rely on a mysterious figure from his past in order to save his friends and continue on with his mission. Preacher was developed for television by Seth Rogen and Evan Goldberg (This is The End, Superbad, Neighbors) and showrunner Sam Catlin (Breaking Bad). The series stars Dominic Cooper as Jesse Custer, Joseph Gilgun as Cassidy, with Ruth Negga as Tulip, and Graham McTavish as The Cowboy, aka The Saint of Killers. If you never saw Preacher or just want a refresher on the things that happened in each episode, you can read our episode annotations, comparing and contrasting them to the comic book source material. Are you guys excited for Preacher Season 3? Let us know in the comments.